The convenience provided by credit cards as payment tools and building your credit score is undisputed. However, credit cards can be a problem when it comes to fees especially when you make these common mistakes. Missing any single payment on your credit card will see your credit rating plummet, and this is not all; you will also attract late fees and penalties meaning that you suffer a double tragedy. You will pay more and also risk being denied future credit or blacklisted as a high risk borrower. Credit cards should only be used if you can afford it and for emergency expenses. If you have multiple credit cards it can be a good idea to consolidate all your debt into one easy to manager loan, instead of paying interest on multiple credit cards. 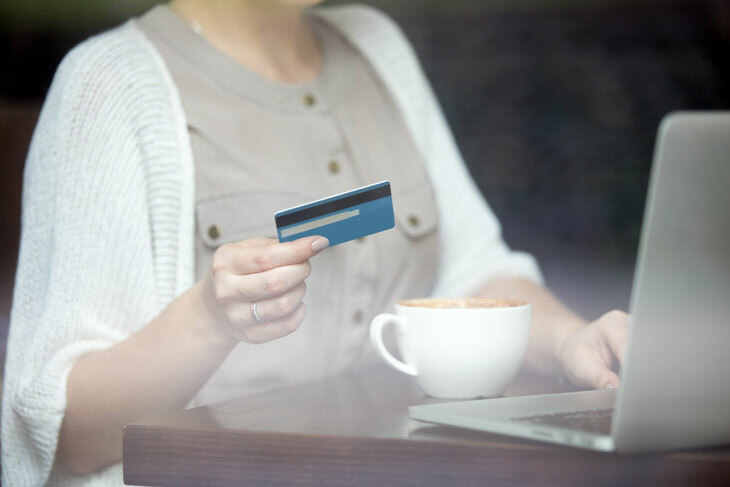 If you must use a credit card make sure you do not miss or make a late payment, these fees can end up costing you a huge amount and will damage your credit score. It is always a good idea to pay more than the minimum amount on your credit card payments so you can repay your debt quicker; reducing the amount you spend on interest. If you continue to pay the minimum amount, you may find the amount owed doesn’t seem to decrease; this may be because you are paying only the interest incurred. Using this method will make it difficult to get on top of your credit card debt. It could be that you ignore checking your statement or just do not have time for it. This could be a huge mistake. There could be errors that make you pay too much, there could be instances when you missed a fraudulent transaction. When you don’t check your statement, these kinds of transactions will go unnoticed and that means you will lose your money or even have problems when trying to get refunds. Make it a habit to check your balances and you will detect some of these errors early enough to seek the right redress. You may use your credit card to get cash for luxuries such as holidays but you will end up paying high interest. You should avoid credit cards if possible, as they are expensive. You should always try to save the amount yourself for luxury purchases. Avoid these and other mistakes and you will be on your way to financial freedom.